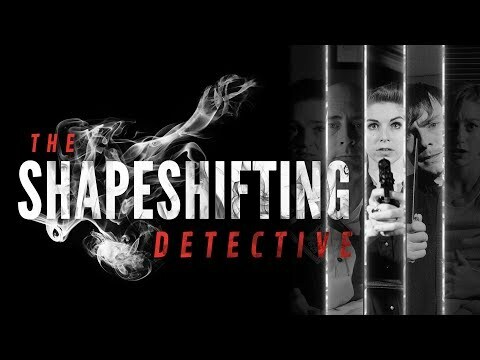 The Shapeshifting Detective is a supernatural-noir murder mystery FMV game from D'Avekki Studios, the creators of The Infectious Madness of Doctor Dekker. Dorota Shaw is dead. And the prime suspects are three tarot readers with the uncanny ability to predict murder - or commit it. It’s your job to find out what else they know - but they won’t reveal their dark secrets to just anyone… Luckily, you can be anyone you want to be. Even the next victim. You play as a detective who can shapeshift into other characters, allowing you to unlock secret conversations and private encounters. Featuring more than 1600 full HD video responses, a randomly chosen murderer and guest starring Rupert Booth, Anarosa De Eizaguirre Butler (Contradiction) and Aislinn De’Ath (The Infectious Madness of Doctor Dekker). The Shapeshifting Detective was released on PC, PS4, Switch and Xbox One 168d ago in the US and the UK. Notify me when The Shapeshifting Detective is available.